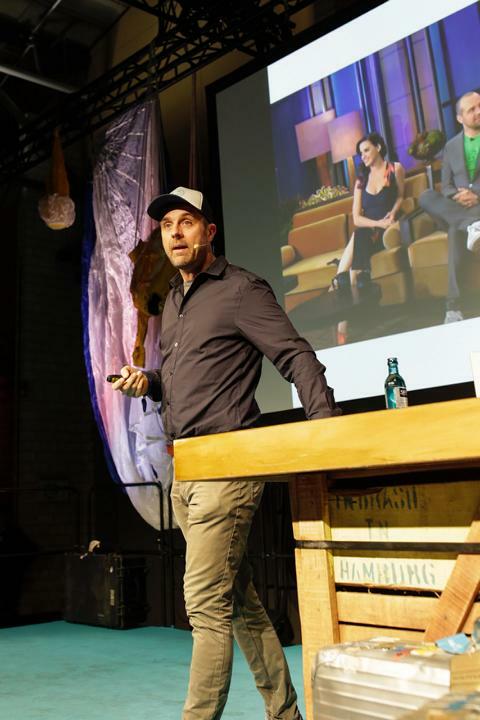 Award-winning top business motivational speaker, Michael Wigge, has an incredible background of adventure-challenge projects broadcast in the US, Germany, and in the Australian media. 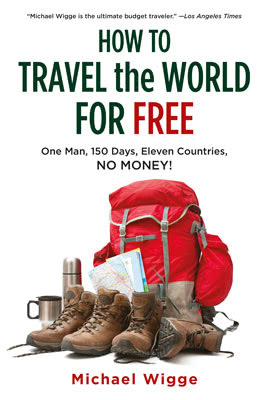 He published four challenge travel books and television programs like ‘How to Travel the World for Free’, ‘Trade Up around the World’, and ‘2000 Miles on a Kick Scooter in 80 Days’. The top business motivational speaker was entitled by the LA Times as ‘The Ultimate Budget Traveler‘ after traveling the world for free. 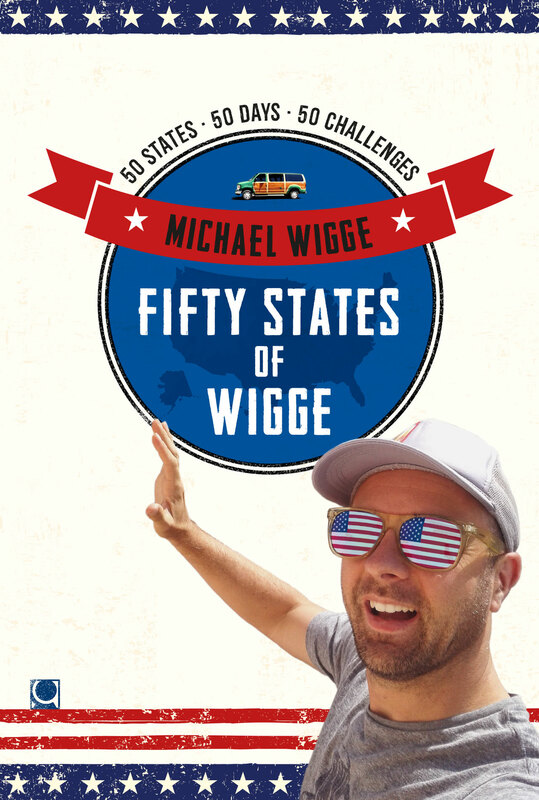 The Outside Magazine covered Wigge’s adventure challenges, and pointed out his comfort zone-leaving challenge style as ‘outstanding‘ in the world of travelers and adventurers after Wigge bartered an apple for bigger an better to get a house in Hawaii (Trade Up Around the World). The business speaker recently took up another travel adventure to travel all fifty US States in fifty days while he faced fifty state-related challenges. Michael describes his lifestyle as a comfort zone-leaving exercise to constantly grow on a personal and professional level and to embrace change. This mindset led him to start a successful career as top business motivational speaker on stage. Feel free to view his TEDx talk on overcoming fear. 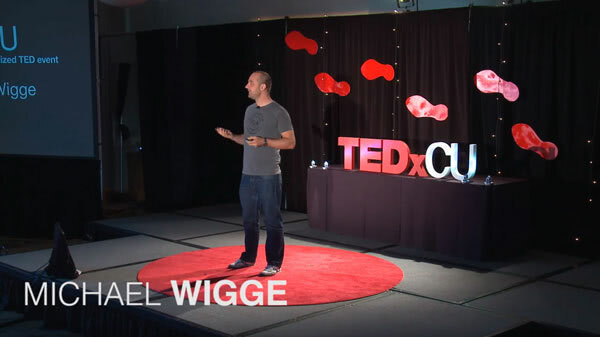 This TEDx talk presents a great overview of motivational speaker Wigge’s entire life, related to his challenges he took up. 30 years after his first self-imposed challenge as a child, Wigge was able to share his adventure and travel challenges on the Tonight Show and on the Today Show. Michael Wigge’s “Challenge for Change – Leadership Success” keynote and workshops inspire the leadership greatness inherent in every individual. 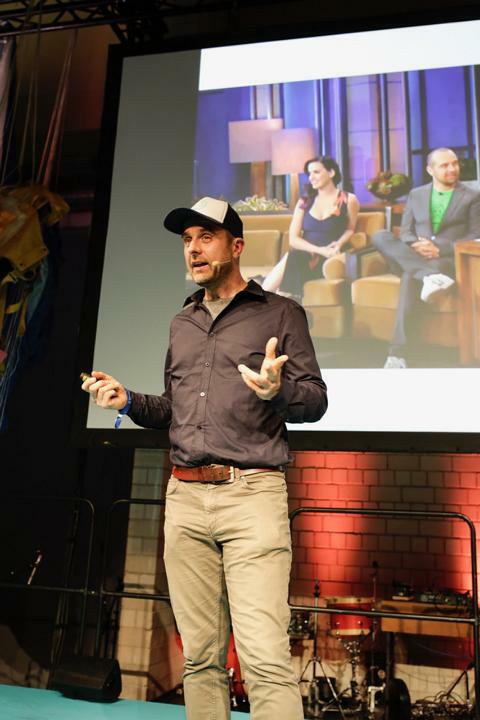 Wigge’s “Challenge for Change – Sales Success” keynote and workshops are built on strategies proven through overcoming the challenges documented in his books and TV shows. 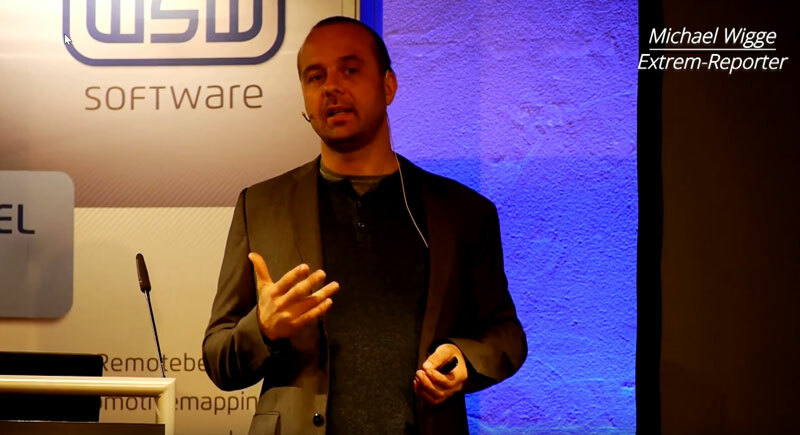 Drawing from his proven track record, Wigge explains in this keynote and workshop the advantages of embracing change. Wigge describes in his usual humorous manner that with a good dose of (team) motivation, every goal can be achieved successfully. Wigge talks about the importance of reflecting on passions, visions, values, life purpose, and belief systems to get the challenger mindset. 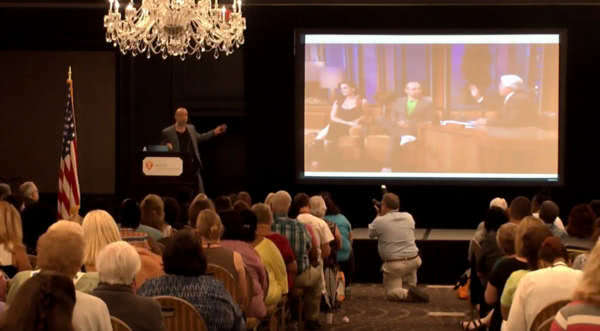 As a professional traveler and top business motivational speaker, Michael Wigge received an invitation to present his amazing challenge experiences on The Tonight Show and on The Today Show, as well having his work presented in USA Today and in the LA Times. 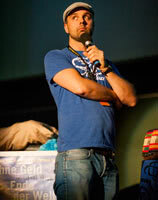 Wigge’s documentaries have won numerous awards and been broadcast in several countries around the world. His travel books have been translated into German and Korean, and his current motivational keynotes and workshops combine entertainment with motivation and information. His challenge adventures of the last two decades build the background of these keynotes. The top business motivational speaker combines his challenge background of ‘traveling the world for without money‘, and ‘bartering a bitten apple to get a house in Hawaii‘ with several corporate messages. His keynotes focus on leadership success, change management, sales, motivation, stress management, and time/self-management. The top business motivational speaker has dealt with all these aspects by facing his outstanding adventure challenges. That enables him to deliver highly authentic, thrilling, and entertaining keynotes to the corporate world and to associations. About 100 clients in the US and around the globe have been highly satisfied with Michael’s keynotes, workshops, and one-on-one coaching. The latest reviews on top business motivational speaker Wigge’s keynotes have been given by ACA International as ‘outstanding’ and ‘very satisfying’ for all meeting participants. The Land Title Association of Colorado entitled the top business motivational speaker and his work he delivered as ‘very enjoyable’. Don’t hesitate to contact Michael for more information and for a free quote. The top business motivational speaker started his coaching and speaking company CMW just shortly after he moved from Germany to the US in 2013. Some of his most outstanding corporate keynotes focus on leadership, and sales based upon his adventure stories ‘How to Travel the World for Free’ and ‘Trade Up Around the World’. The first challenge taught Michael how to become a great leader by constantly embracing change. ‘Trade Up around the World’ taught him to become a great sales man by bartering a bitten apple in 42 trades to a house in Hawaii. Feel free to view the Challenge-4-Change Leadership keynote and Challenge-4-Change Sales keynote on this site for more information; Michael currently shares his expertise with corporate keynotes and seminars throughout the United States, Canada, Germany, Austria, and Switzerland. Serving all US cities nationwide, his home base is beautiful Denver, Colorado. His specialty lies in combining cross-cultural adventures with corporate goals, which he explores in a very entertaining and inspirational fashion. His corporate lectures, fun keynotes, and top motivational seminars are based on the six major challenges he faced since 2009. His latest keynote is entitled The Challenger Mindset. Michael has been traveling to about 90 countries and publishing books and shows on his travels for more than fifteen years. The German native has created the term ‘challenge seeker’ as a profession. 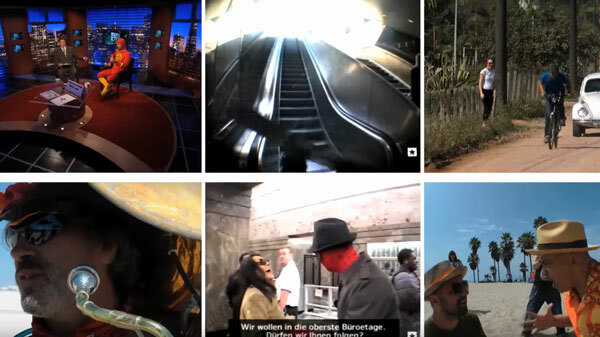 TV networks – both private and public – have broadcast Wigge’s work in the US and Germany, because his unique mixture of journalism, self-imposed challenges, and fun entertainment characterize his projects. Wigge serves as a speaker nationwide and internationally. The top business motivational speaker and TV adventurer has delivered keynotes all over the United States. In his motivational keynotes, Michael convinces entertainingly and motivates people to act! 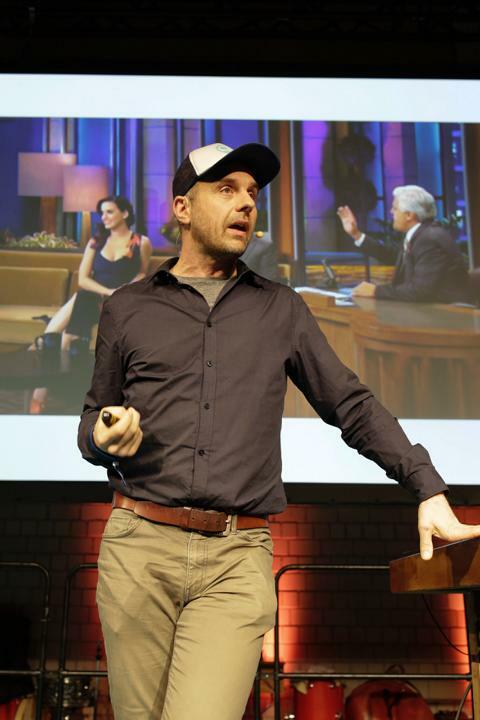 He belongs to one of the best and most entertaining professional speakers in Germany and in the United States. You can book Michael Wigge through BigSpeak “the Motivational Speakers Bureau for Keynote Speakers” for your business event or just contact Michael Wigge here directly. Michael, why would you describe yourself as a great speaker? Michael: I think, clients should rather decide, if I am the right fit for them. My testimonials on this site do help on making this decision. I think, associations and corporations looking for messages on leadership, sales, change, and motivation do find great support through my work. Usually, they tend to book and re-book my services, when they like to have a speaker to combine entertainment and corporate message. My adventure and challenge background keeps audiences closely to my stories on stage. Long days of conferences usually need a fun and light-hearted element, which can easily be me. My keynotes show how I faced extremely challenges in over 90 countries, how I failed forward, embraced change to basically survived, and turned myself into a true sales man to turn a bitten apple into a real house (How to Barter for Paradise). My shows are supported by great video- and handout material. Breakout sessions, round table discussions and signed books of mine for all meeting participants do round up a highly motivating and inspiring experience. -Michael, you’ve faced these incredible adventure challenges, but how do they connect to your clients’ needs? They want their staff or clients to learn simple strategies to develop on leadership, sales, self-motivation, or change management. They want the crowd to get an out-of-the-box view on things through the incredible experiences of a business motivational speaker. I do my very best to satisfy all five major needs of my clients. -But how are you doing that? All five aspects at once seem to be a lot within a one-hour session for example? Wigge: Well, professional keynote speaking is way more than just one hour on stage. Preparation, intense client contact, speaking, and post conference support show how much a motivational business speaker is doing to be on a top level in the United States. My change management presentation is based on my adventure story to travel around the world with no money. People find this very impressive, but the personal connection starts when I break down my change management experiences to a level everyone has experienced similar things, too. I talk about how I had a hard time to adopt change being on the road, how hard it was to constantly change plan, and how stressful it could be to get used to new people over and over again. When I tell these little things and show that I am not the born expert on change management, I usually see many people in the crowd agreeing to what I’m saying with a big smile. I got the connection by allowing myself to find change management as hard as they do. Here comes in the second aspect ‘humor’. I often talk about myself pretty self-ironic, and I don’t take myself too serious. A typical start of my stress management keynote would be ‘Hey everyone, here you meet the no. 1 stress management patient (me).’ People start having a laugh, and they realize I don’t want to be the hero or the expert, rather than being the guy who had to learn stress management the hard way after having serious stress symptoms after a few of my projects. Basically, I often present myself as a character who had to learn over and over again. People find this pretty funny and good to learn from. -‘The little self-ironic stories don’t seem to be the big memorable stories the audience is still talking about weeks after, right? 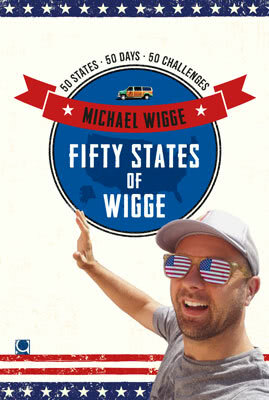 Wigge: Well, I still traveled the world for free, then bartered a bitten apple to a house in Hawaii, traveled Europe blindfolded and so on. The outcome of all successful adventure stories is so huge, that people often see them as unforgettable. On top of that, I published my books and TV shows worldwide, been with Karty Perry on the Tonight Show, and I presented my travel docu-series on PBS, ZDF, DW-TV and many networks more. -How do you include simple strategies on corporate messages as a business motivational speaker? Most of my programs contain six different aspects of a certain subject like ‘successful leadership’. I usually go through one of my travel challenges step by step, and connect to one leadership aspect after another one. At the End of each keynote, the audience gets a detailed handout that covers these six leadership aspects. All audience members have a chance for additional free e-mail communication with me to discuss what they’ve learned in the session and through the handout. -Last but not least, which of your adventures count as the most out-of-the-box experience for you as a business motivational speaker? 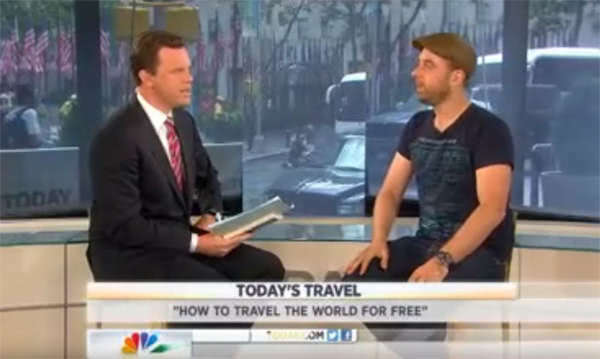 Well, “How to Travel the World for Free” is big for many clients because they might have seen the TV show or my book presentation on the Tonight Show before. 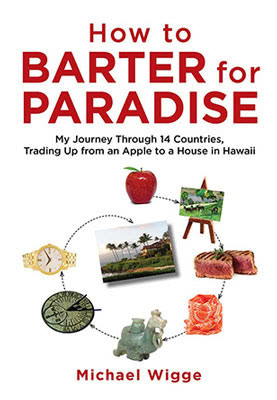 But “How to Barter for Paradise” seems to be the most impressive because not many people have managed yet to turn a small item like an apple into a real house in Hawaii by trading. This sounds so out-of-the-box that many of my keynotes dealing with this challenge get re-booked by clients just to hear this story one more time again. Actually all meeting participants get a free book of mine after a session to keep motivated long term with a high benefit for their company.